Home> Resource> Android Backup> How to Manage Android Ebooks on Computer? Many people love reading various types of ebooks. Reading ebooks not only can help you kill time but also enable you to forget the boring and bothersome world for a moment. The ordinary workers could forget the boss and heavy works and imagine that he is the savior that can protect the world when he read about the super hero. Little girls will dream about their Prince Charming while reading the romantic novels. Housewives want to be a queen when they are addicted into the time-travel novels. Everyone can be a different person and realize the beautiful dreams temporarily in the world of ebooks. So many people bought many ebooks or downloaded them on the mobile phones. It will not be easy to manage so many books. Besides, sometimes you may need to transfer some ebooks from mobile phone to the computer because it is more comfortable to read the books with a bigger screen and easier to edit the books on computer. Or you need to transfer ebooks from PC to your Android phone so that you can enjoy the books whenever and wherever you want. Here we will offer you the solution to manage the ebooks easily and quickly and transfer ebooks between Android devices and computer with no hassle. 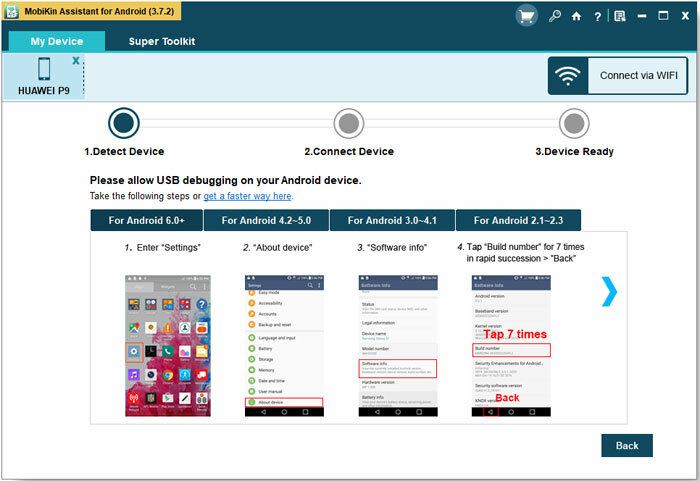 With the powerful software - MobiKin Android File Manager (Windows/Mac), you can easily achieve the goal. 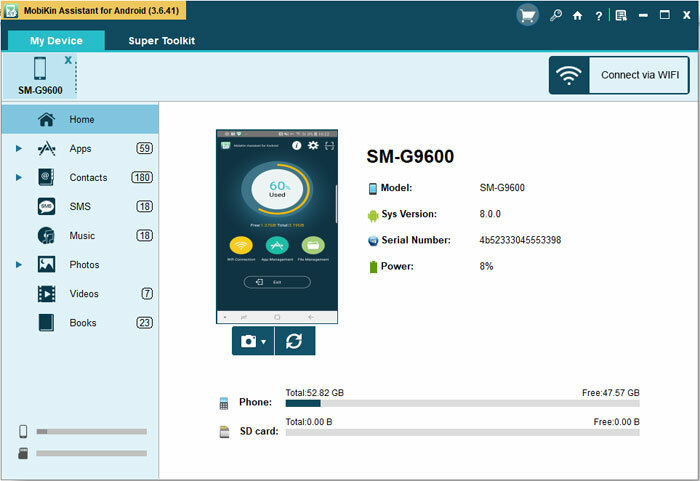 The software is designed for Android phone users so it can support almost all kinds of Android brands of smart phones like Samsung, Motorola, HTC, LG, Sony and so on with high compatibility. By the way, there are two versions available, one is the Mac version and the other is Windows version. You select one according to your operating system of computer. In addition, the software can detect the connected device automatically can scan all the files including not only the ebooks but also the contacts, messages, photos, books, videos, music and so on on your computer. Then all the files will be displayed as different categories according to their types on a window. And you can easily find the target files. The program is 100% clean and risk-free. Now you may download the free trial version to have a try. By the way the free trial version's functions are limited and you can get the pro version on the official website. Use a USB cable and connect the Android phone to computer. Then you may need to open the USB debugging by following the instructions below. Tap the USB debugging on the device and then click on the Next button on the interface. After the USB debugging, the software will detect the connected device and you will see an interface like this with many options list on the left panel and the main parameters on the right panel. You can click on the Books button on the left panel. Then you will see all the books that are saved on your device after clicking on the Books. Then mark the books you want to transfer. Click the Export button to transfer them to the computer. Or you can also click on the Delete button to delete all the marked files. You can also click on the Add button to transfer books from computer to the device. Note: The transfer of other files between mobile phones and computer is similar to this guide. You can download the software to try it by yourself.